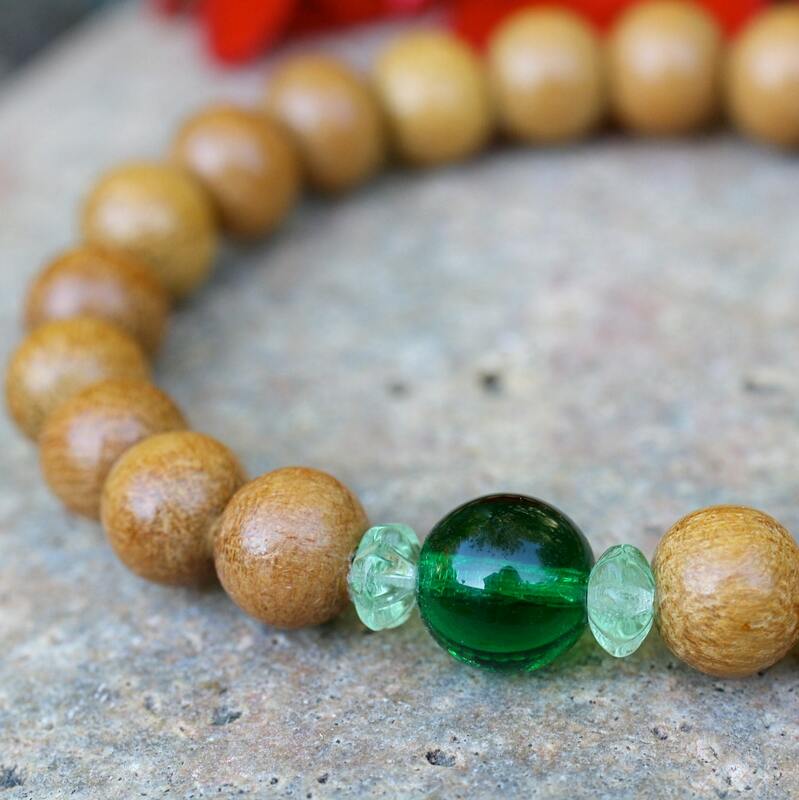 In this wrist mala, golden tropical nangkawood contrasts with a deep green Czech glass guru bead, surrounded by two little light green Czech glass flower beads. This 21 bead set of Buddhist prayer beads is the perfect wrist mala to wear during yoga practice and throughout the day. So simple and delicate, but so strong. 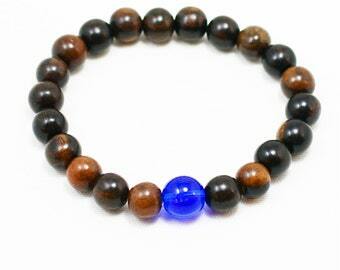 Easily fits a 6.5 to 7 inch wrist, or 16.5 to 17.5 cm. Contact me for a larger size. I string these myself with love and prayer in my California studio. They are shipped in a kraft gift box with silver cord. Tax is added in paypal checkout only to Californians.